We have mentors to teach woodturning and to help guide you in building your projects. 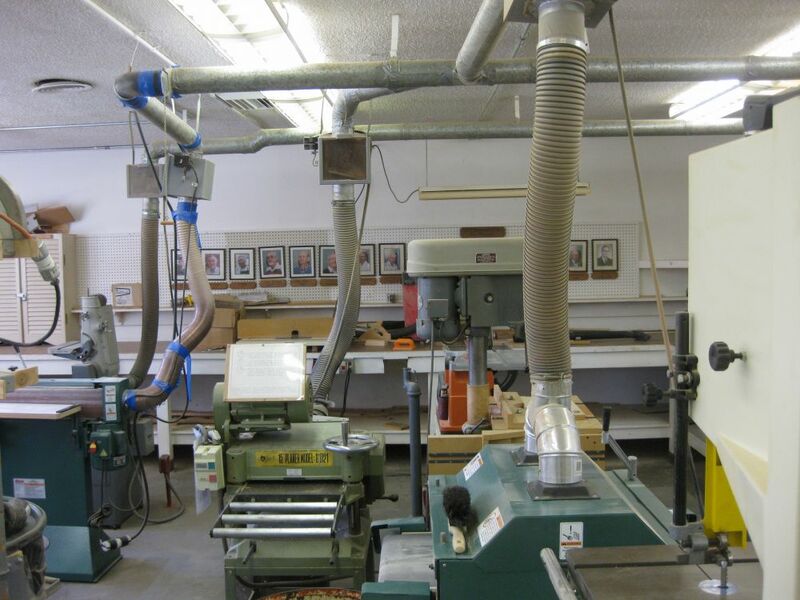 Tools; we have a 20” planer, a 12” joiner, 14 and 16” bandsaws, 2 router tables, a miter saw, large compressor for air tools, edge sander, 1” & 6”belt sanders, disk sander, 15” wide belt sander, spindle sander, table saw, lathe, scroll saw and numerous hand tools. We also have hardwood for sale to members at very reasonable prices and stumps or branches for woodturning. To view or download the New Member Application Packet, Please select here. View "Seven Fundamentals of Woodturning" video.